Posted On May 22, 2017 by Team iCynosure. I’ve been a lipstick-addict for the longest time, and I can’t even remember when I first started wearing lip products. I’ve always been very careful about the type of product I pick for my lips and the must-dos for a lipstick in my vanity would definitely include moisturisation, pigmentation and lasting. I’ve experimented with lip tints, lip stains and long-wear lipsticks and lip glosses over the last few years. However now most of the lipsticks in my vanity are unintentionally matte finishes. I have become so comfortable and selective that I just didn't want to experiment with the lipstick formulae until Oriflame’s launched The One Lip Sensation Vinyl Gel lip colour in 7 perfect summer shades. The range is a perfect gloss lovers’ paradise, with a gorgeous range of purple to pink candy colours that excite the princess in you. As a regular Oriflame reviewer, the brand sent me the entire range to experiment with. The brand claims that the product is a super-light liquid lipstick that goes on like a gel, with an ultra-smooth plexigloss finish. The rich product formula is non-sticky with extreme colour coverage, glides on easily for super-slick lips with perfect colour clarity, while the conditioning formula keeps lips feeling soft and supple. I’ve used gel lipsticks only for the first time even though they have been around much longer and I think I’ve started late. The One Lip Sensation Vinyl Gel lipsticks are moisturising and have an impeccable glossy finish. Even though the lip colours aren't fully opaque at first swipe, I could easily build them up for a sleek-sheer finish. All of the seven shades have a fresh, I’m-not-wearing-any-lip-product look to them. However, they aren't sticky at all. I truly like the light-weight application and translucent accurate colour clarity. The glosses apply effortlessly and don’t feather into fine lines making the lips look fuller. With all these amazing things going on, my only concern was the staying power, but the One surprised me with its staying power of close to 3 hours without having to touch up. If you're looking to try them out, let me give you an opportunity to pick the shade you want. Yes, we are giving away a few #PRSamples to some of our readers. 1. 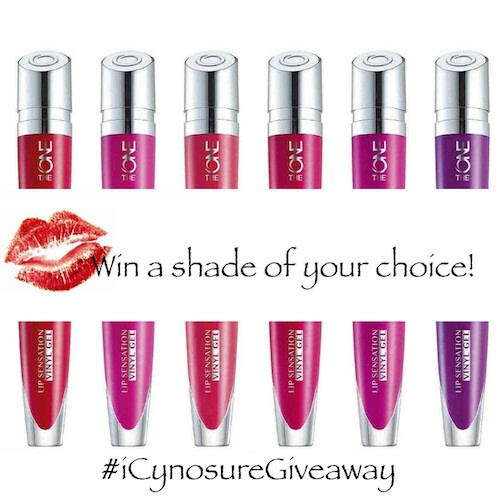 Follow iCynosure on Instagram. – Contest closes on June 2nd. – We’ll pick winners by a random draw from the pool of qualified entries. 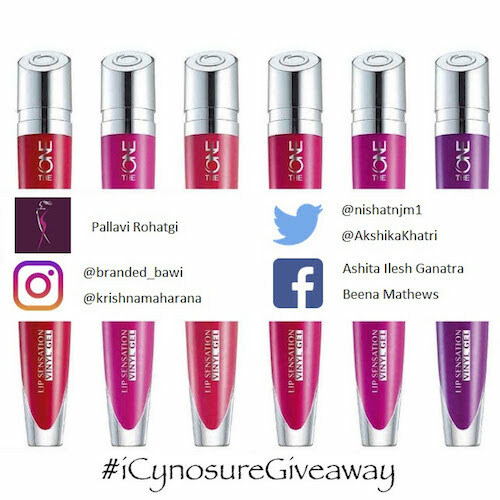 Winners, please send in your shipping details along with a contact number and a proof of identity to icynosureblog@gmail.com with Subject - 'Oriflame - iCynosure Giveaway Winner' to claim your lippies. The product that you mentioned in the giveaway entry will be sent out once we have the details of all the winners. No emails for a particular shade will be entertained. Request you to be patient.